It has been said that 70 million Americans suffer from digestive issues. Your gut is your second brain and if it’s not healthy, your brain won’t be either. Research shows that digestive issues contribute to mental health disorders such as depression, anxiety, ADHD, and insomnia. Autoimmune illnesses, migraines, eczema, acne, and chronic gastrointestinal symptoms all can be traced to an irritated GI Tract. Without a healthy GI tract your body cannot process and absorb supplements, medication, or nutritious foods. 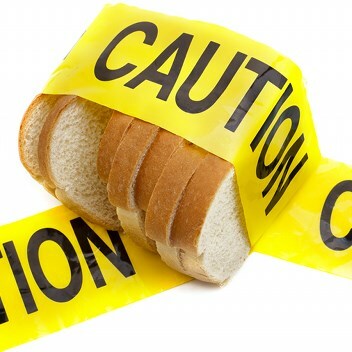 Foods that can harm the gut flora, cause inflammation in ones gut negatively affecting gut health include: Flour, sugar, alcohol, gluten, processed soy, GMO foods, and add comma for some people add comma dairy. We see in many clients that an unhealthy gut leads to neurotransmitter imbalances, mood disorders, and behavioral problems. This can be addressed with the right diet, supplementation, nutrients, and brain chemistry. The December issue of Experience Life magazine reports that 1 out of 100 people have Celiac disease, an autoimmune disorder. In the article Game Changers, researchers explore why avoiding particular foods, such as gluten, isn’t just a fad, it’s a fundamental piece to the achieving a healthy life. One of the top experts on autoimmunity is Alessio Fasano, MD, the director of the Center for Celiac Research and Treatment at Massachusetts General Hospital for Children in Boston. He explains that these diseases generally have three components: genetic predisposition, an environmental trigger, and a leaky gut. According to the article a growing number of practitioners now recognize that gastrointestinal systems weakened by poor nutrition, food sensitivities, stress, and toxins can spring leaks that allow toxins (undigested food particles, bacteria, viruses, pollutants, and more) to cross the intestinal barrier into the bloodstream. The immune system then goes into overdrive and, over time, winds up destroying healthy tissue. Yikes! When to Suspect Food Allergy, Sensitivity or Leaky Gut? Gastrointestinal symptoms, IBS, heartburn, constipation, diarrhea, bloating, gas, belching, headache, migraine, acne, eczema, asthma, significant seasonal allergies, joint pain, “brain fog”, chronic fatigue, fibromyalgia, hives, rashes, autoimmune illness (crohn’s disease, ulcerative colitis, celiac, rheumatoid arthritis, psoriasis, lupus, scleroderma, raynaud’s phenomenon, rosacea, MS, Type 1 diabetes).- Food Allergies Healing an overactive immune system generally requires a multifaceted and pronged approach, but since 70 percent of the cells of the human immune system reside in the gut, many progressive health pros are increasingly focusing their attention there first. Many mental health symptoms can be exasperated by ones diet. Often people feel depressed, anxious or unable to focus due to their diets. Unknowingly their diet may be the root of their rotten mood. A diet high in processed foods can increase your risk of depression and anxiety. Diets with artificial sweeteners, diet soda, MSG, GMO foods, food coloring, vegetable oils, and gluten could harm you even in small doses. Are Toxins Hiding in Your Diet? So, What Am I Supposed to Eat? Real food has real benefits. If it grew in the ground or it’s the flesh or egg of a healthy animal it’s likely good for you. Seafood:Especially wild fish, canned wild sardines, the skin has amazing benefits, don’t be afraid to eat the whole thing. Eggs & Chicken: Antibiotic- and hormone-free eggs and poultry. Eat the whole egg (not just egg whites) for maximum benefits. Meat: Unless you have an ethical or environmental objection to eating meat, consume grass-fed, pasture-raised beef, lamb, organ meats, game meats, naturally raised pork. Starch: Rice, sweet potato, squash, legumes, quinoa are likely to be digested with ease. As if you didn’t have enough to think about, blood sugar stabilization is essential if you suffer from anxiety, panic, insomnia, irritability or ADD/ADHD. If you go longer than 3-4 hours without a snack or meal you are likely feeling the effects of a blood sugar roller coaster. Avoid the blood sugar roller coaster. If you let yourself dip into low blood sugar, you may be in a constant state of rescuing yourself from blood sugar chaos afterward. You can manage this easily. Coconut Oil: Purchase a jar of unrefined, cold-pressed, virgin, organic coconut oil. Take a spoonful upon waking, before bed, and when you get home from work. Always have a baggie of nuts on hand, a KIND Bar, or organic jerky. 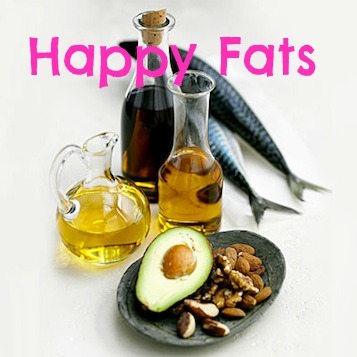 Eat fatty foods at regular intervals. Don’t wait until you get hungry. Anticipate and prevent yourself from getting hungry in the first place. If you’re getting hungry that’s your body reminding you to feed it for focus and feeling in control of your decisions. Think your diet is the root of your health issues? Contact us today!